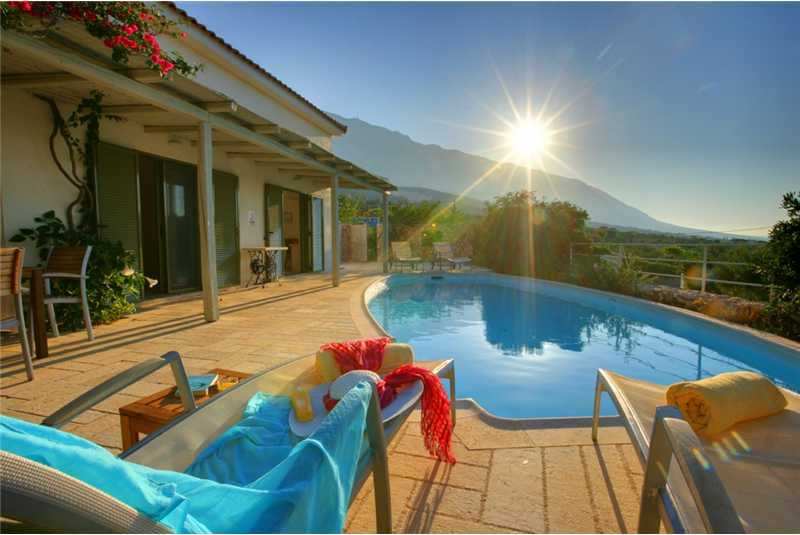 Villa Petalida is a wonderfully designed modern villa in the resort of Trapezaki with extraordinary panoramic views over the rolling Trapezaki hills and he sparkling Ionian sea. 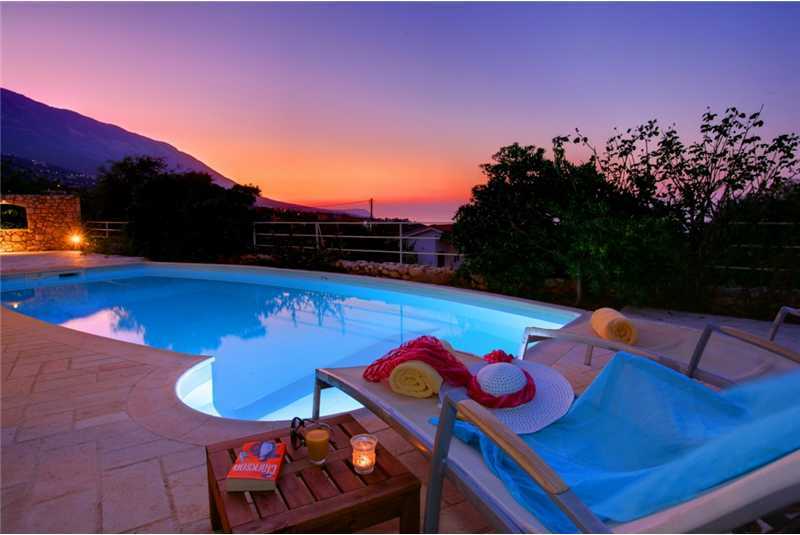 Villa Petalida is part of a secure gated community of eleven private villas set on the lower slopes of Mount Aenos on the outskirts of the village of Mousata in the resort of Trapezaki. The village has its own bakers, several mini markets and two tavernas whilst the unspoilt beach of Trapezaki is sandy, quite with its own taverna where you can enjoy a drink or meal. 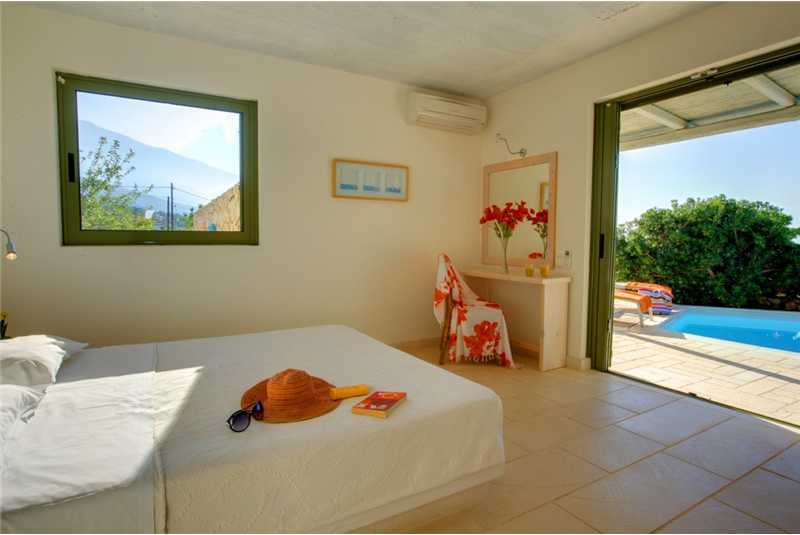 The village of Lourdas is a short 3km drive from Petalida, here you will find half a dozen very good tavernas on the beach and can hire a speed boat for the day to explore the southern coast of Kefalonia. 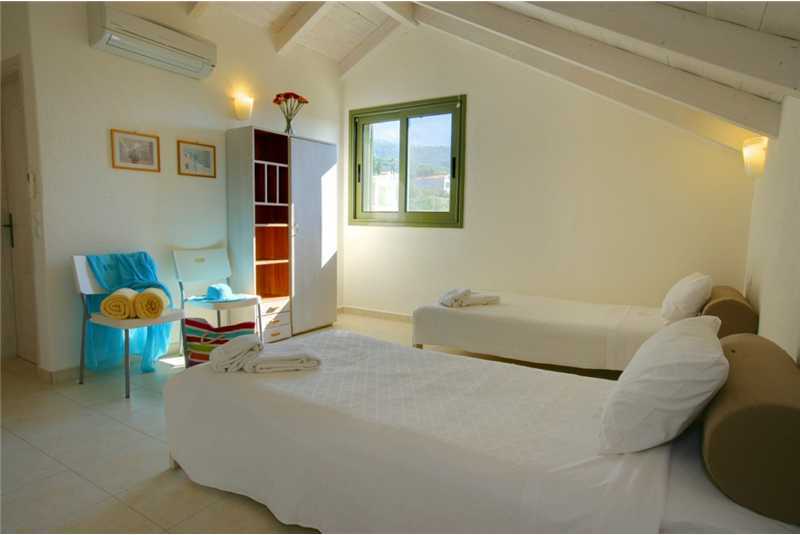 The capital of the island, Argostoli, is only 20 minute drive from Trapezaki. Argostoli has an attractive main square, a pretty harbour promenade, lots of cafes and restaurants, larger supermarkets, fresh fish mongers and the best place on the island for fresh fruit and veg. 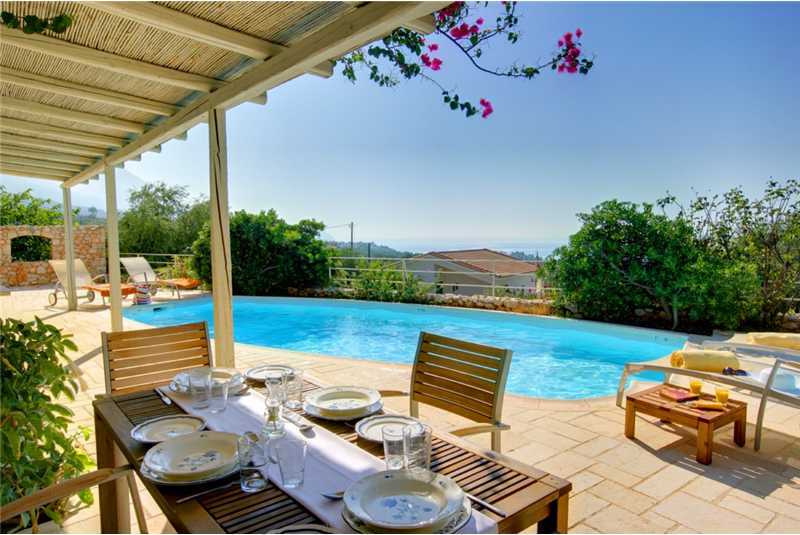 Villa Petalida is a stunning modern villa, fully air conditioned throughout and beautifully furnished with a complimentary mixture of both modern and traditional Kefalonian furniture. 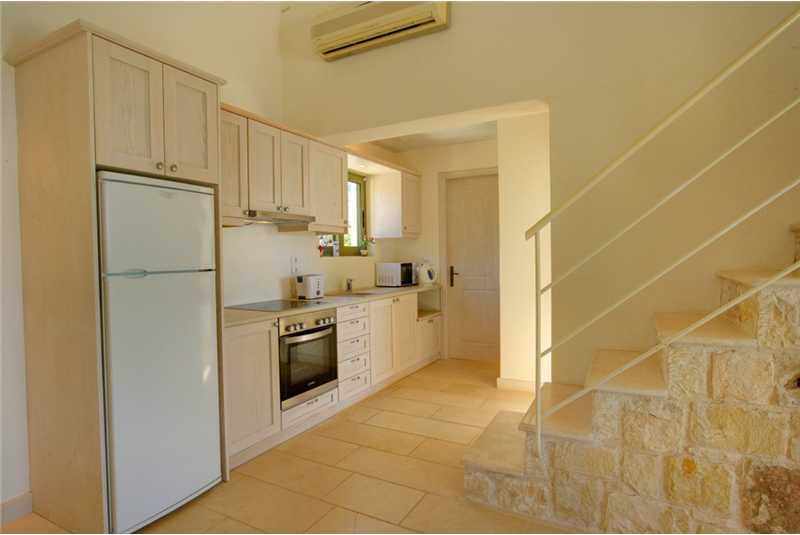 Entrance to the villa is on the ground floor where there is a master double bedroom with en suite and walk in wardrobe. The open plan lounge area is furnished with brightlly coloured sofas and stylish furnishings. 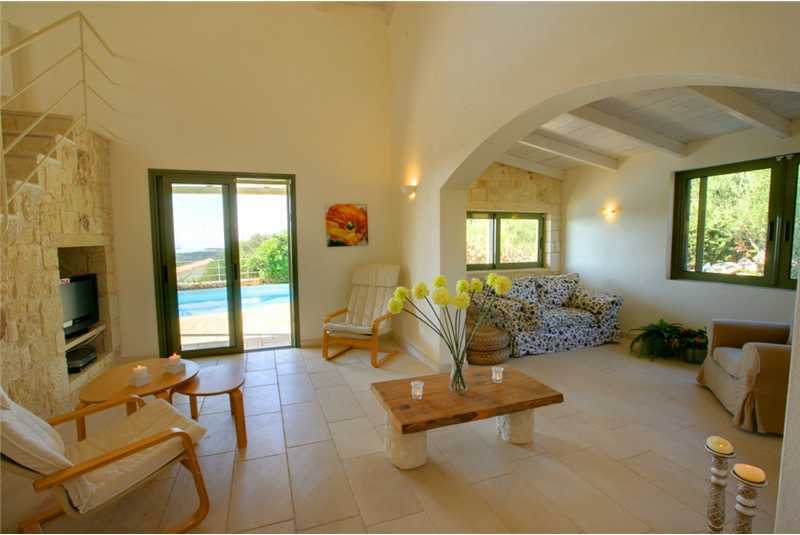 The lounge and bedroom both have sliding doors leading out to the pool terrace. 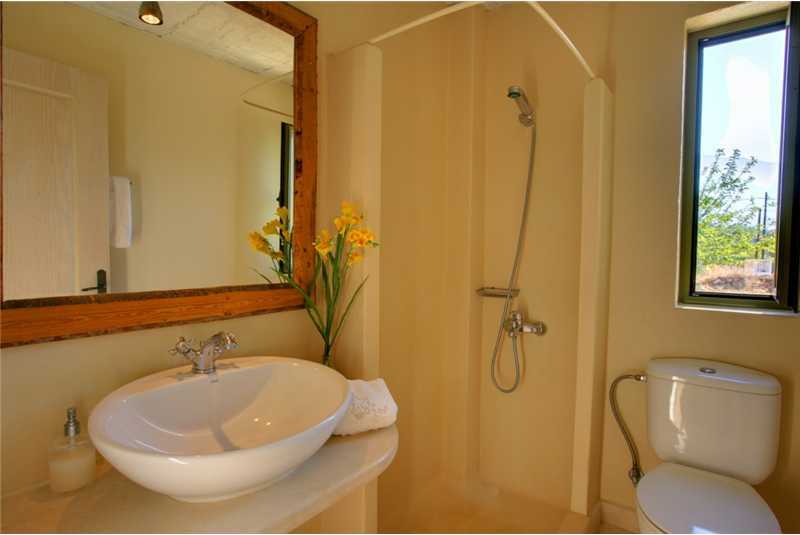 A marble staircase leads up to the twin bedroom with ensuite. 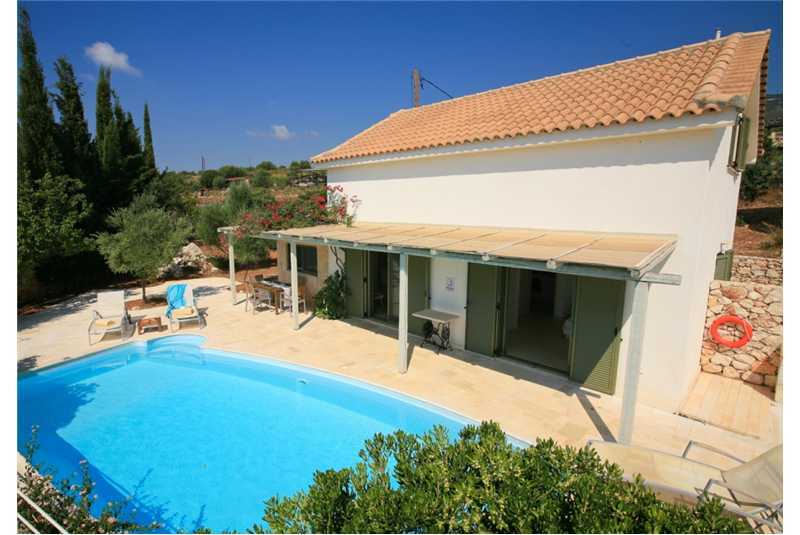 The outside pool and terrace is furnished with tables and chairs under a wicker pergola where you can relax during the day in the shade with a glass of wine. 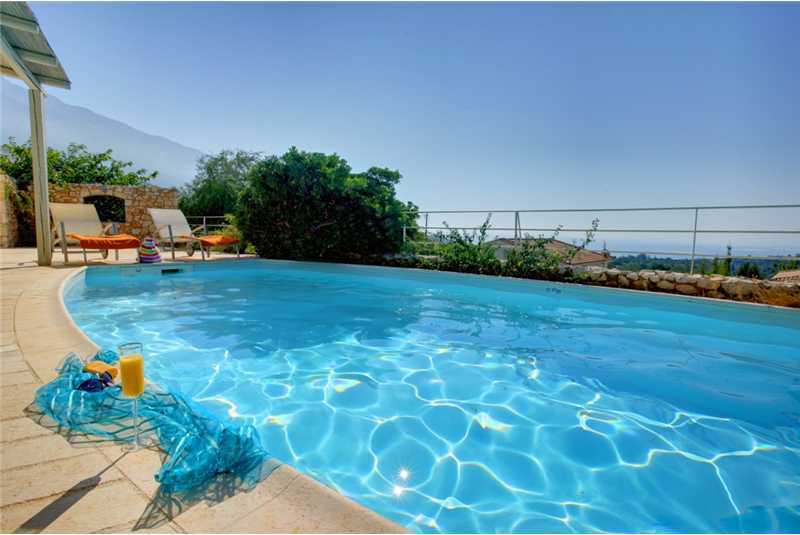 Around the pool are comfortable wooden sun loungers and a built in barbecue.